Lifelong friends Shaloam, Rachel and Jasmine are among 12,000 handmade entrepreneurs in the UK. Today they announce the launch of their platform Kraft Space – a curated handmade goods marketplace, where UK talent awaits. It’s no secret that UK shoppers are increasingly choosing high-quality products to be kept for a lifetime, over fast, mass-produced goods that harm the planet. In the last year, ethical spending grew by 3.2% – to a total £81.3 billion industry. Alongside the demand for ethical goods, has been a continuing boom in the craft sector, which is no longer just for hipsters and hobbyists. This now well and truly mainstream industry has flourished into a £3 billion business interest. Online marketplaces therefore need to meet the needs of these creators and consumers, especially since UK high streets are struggling and other industries are contracting. Shaloam and Rachel share a passion for creating, with 20 years of experience of running their own graphic design companies in their homecity – Brighton – which is considered by many as the UK’s creative capital. All three friends also make and sell their own handmade products. “We thought we’d found our place to sell on an online handmade marketplace, but quickly found that we jostled among other creatives for attention (among 54 million other sellers, no less)”, Shaloam explains. “We also tried generic marketplaces, such as eBay, but our products were placed side-by-side with imports and mass-produced goods. Everywhere, there were intricate fee structures and confusing seller terms”. Being creative by nature, Shaloam, Rachel and Jasmine set about creating a platform of ‘wonderfully made’ handmade goods. After 12 months of brainstorming, designing and developing, Kraft Space was born – a marketplace designed for carefully selected high end art and craft items. “Unlike other marketplaces, Kraft Space strictly selects and approves all its vendors and products”, Rachel says that this is one of numerous differences of Kraft Space, compared to other marketplaces. “We check the quality of craftsmanship, ethics and originality of every creative who applies”. “We are champions of skilled craftsmenship, and truly passionate about nurturing UK talent”, adds Jasmine. “In today’s world, where machines are replacing people and the uncertainty of Brexit lies ahead, we feel that it’s never been more important to celebrate traditional skills, culture and craftsmanship, over mass production. As a marketplace of independent designers, makers and small boutique retailers, Kraft Space will support UK craftsmanship, and perhaps finally provide a home for the handmade in the UK. 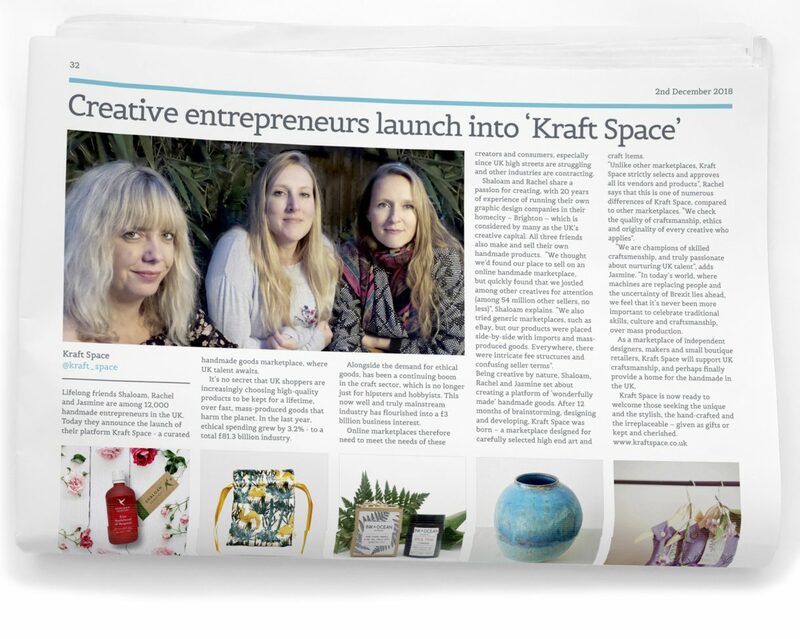 Kraft Space is a curated marketplace selling and showcasing ‘wonderfully made’ creations by some of the UK’s finest artists and crafters. For creators, Kraft Space offers unlimited listings; simple fees; no minimum contract; dedicated support and marketing. Kraft Space is now ready to welcome those seeking the unique and the stylish, the hand-crafted and the irreplaceable – given as gifts or kept and cherished. That’s a great article, a great idea and I knowyou three will make an absolute proffessional successof it. Kraft Space aims to do things a bit differently and offers creatives a new online market place to showcase items. Buying handmade and unique pieces has just got a little bit easier thanks to website Kraft Space. This article was published in Etc Magazine March 2019. You can read the original article here on pages 128-129. Kraft Space aims to do things a bit differently and offers creatives a new online market place to showcase items, as Charlotte Harding discovers. Buying handmade and unique pieces has just got a little bit easier thanks to website Kraft Space. 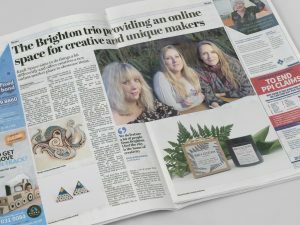 Brighton trio Shaloam Hodge, Rachel Turton and Jasmine Newland set up the online market place in November, offering creatives a place to sell their wares. “We are all quite creative and wanted to offer something different for people alongside Not On The High Street and Etsy,” explained Shaloam. “We became frustrated with the huge global mass-produced markets online who rarely contribute ethically to the world’s environmental issues. 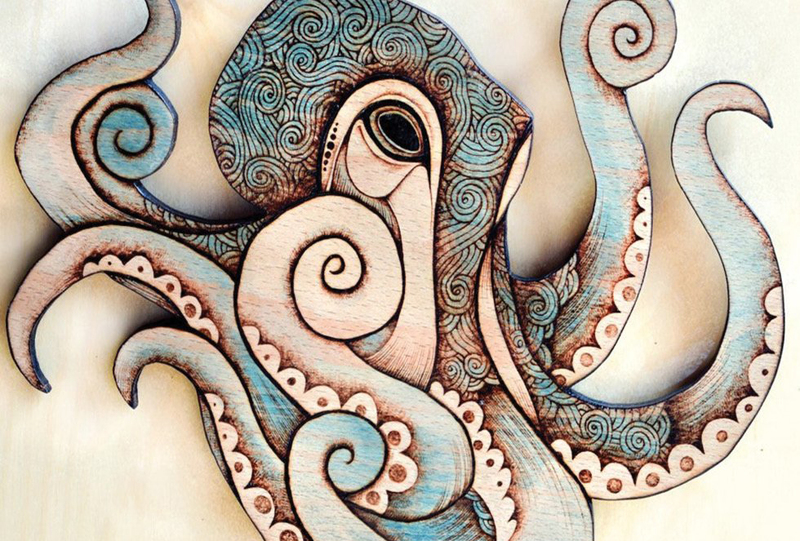 “We found that on Etsy anyone can go on there and sell. One of the aims of the website is to showcase traditional skills that are dying out, skills such as those that work with leather or blacksmiths. “We wanted to go back to the roots of traditional skills, natural materials and ethically handmade products. “If you use a sewing machine that is fine but what we don’t want is items that are mass produced by a machine,” she added. “We also look at the materials used and prefer natural materials over plastics. At the moment the website has about 60 vendors but after appearing on TV they received more than 1,000 applications. This means they can cherry pick who they want to feature, and they think they will be able to add another 20-30 vendors in the coming months. 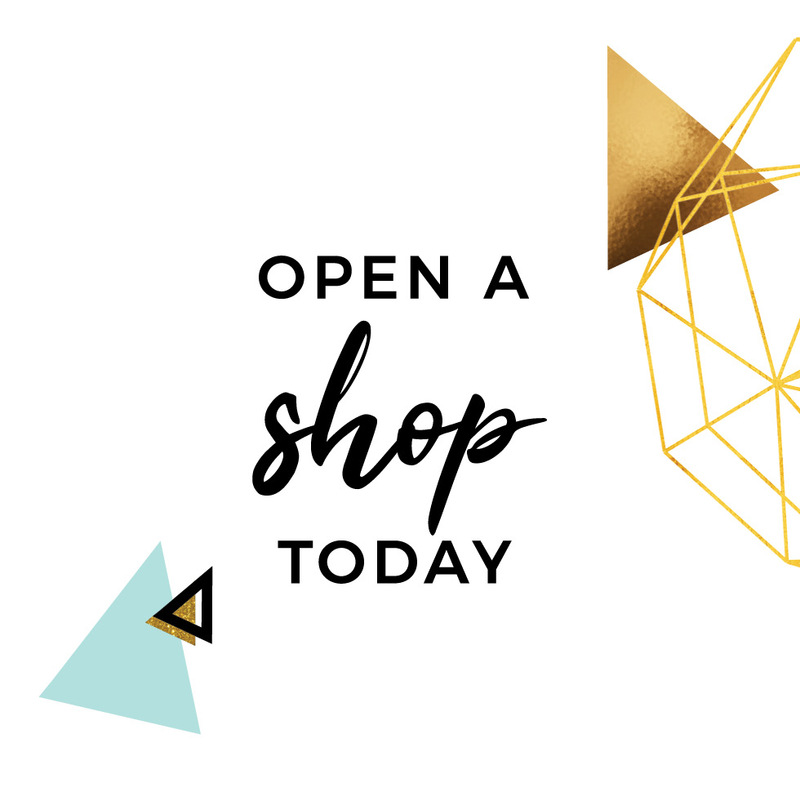 Currently listed are a patchwork chair by Mad Chair Co, illustrations by Kate Moby, accessories by Abi’s Attic Boutique or new mum letterbox gift sets from Letterbox Luxuries. They are keen for anyone who does something a bit different and unique to get in touch about featuring on the website. “The more weird and more wonderful the better really,” she said. Rachel and Shaloam have known each other for 15 years having worked in graphic design together, while Shaloam and Jasmine are sisters. 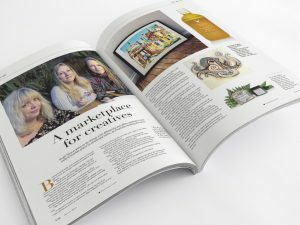 “We have used our skills as graphic designers, makers and artists together to create a curated UK online craft market – designed by makers, for makers,” she said. 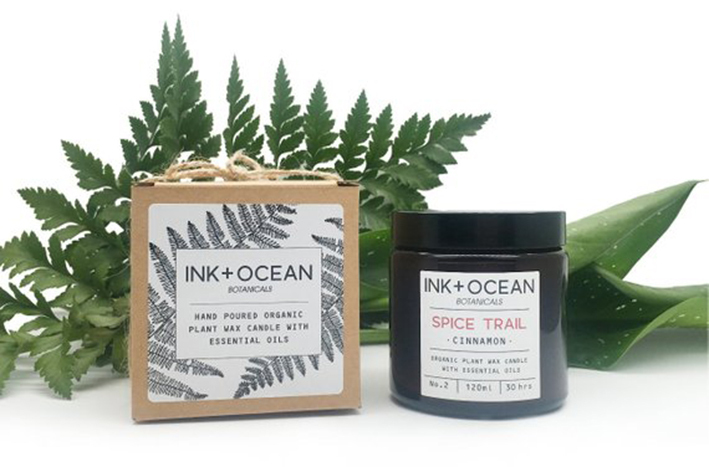 Shaloam makes natural skincare products, Rachel makes soy candles and Jasmine is a musician so their creative spectrum is far reaching, ideal for when they are picking what goes on the site. “I had done Etsy markets in the past so had seen all the amazing and different people out there and wanted to showcase what they do,” said Shaloam. 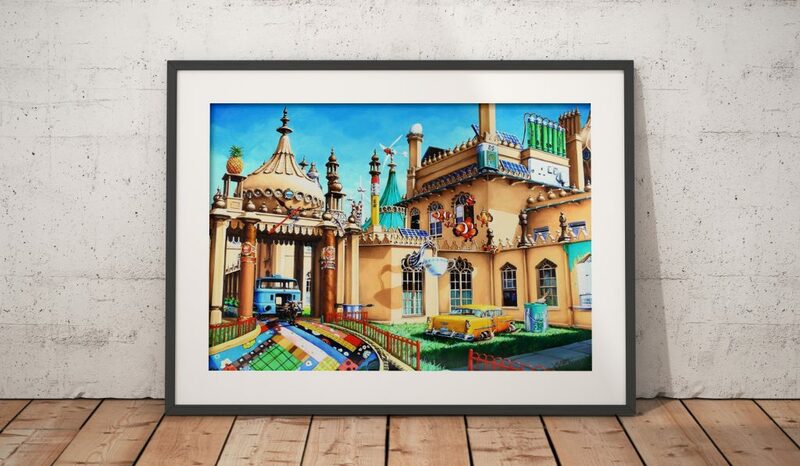 Although the business is based in Brighton they feature creatives from all over the UK, including Stella and Wolf from Buckingshire, Mogwaii Design from the Isle of Lismore, Scotland and Ooh So Darling in Suffolk.